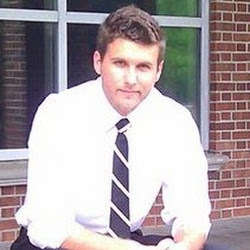 Joshua Tuttle is a doctoral student of sociology at George Mason University. He received his bachelor’s in sociology from the University of Maine in 2009, and his master’s in sociology from the University of North Carolina Wilmington in 2011. Joshua’s research interests include religion, social inequality, stratification, and the theory and practice of public sociology. Much of his current research projects examine how inequalities of race, gender, and socioeconomic status effect the formation of religious identities, behaviors, and attitudes. Joshua has worked on a number of public sociology projects in the past. While studying in Wilmington, Josh served as a field researcher for the Youth Enrichment Zone, a project committed to reducing crime and delinquency in Wilmington and the greater New Hanover county area. He also served as coordinator of Feast Downeast, a non-profit organization committed to fighting rural poverty by creating and maintaining local agricultural economies in southeastern North Carolina.